Travel theme: Above | Oh, the Places We See . . .
We remember it vividly — the color, excitement, and right-there-on-the-field experience of being at the Albuquerque International Balloon Fiesta 2014 before dawn. 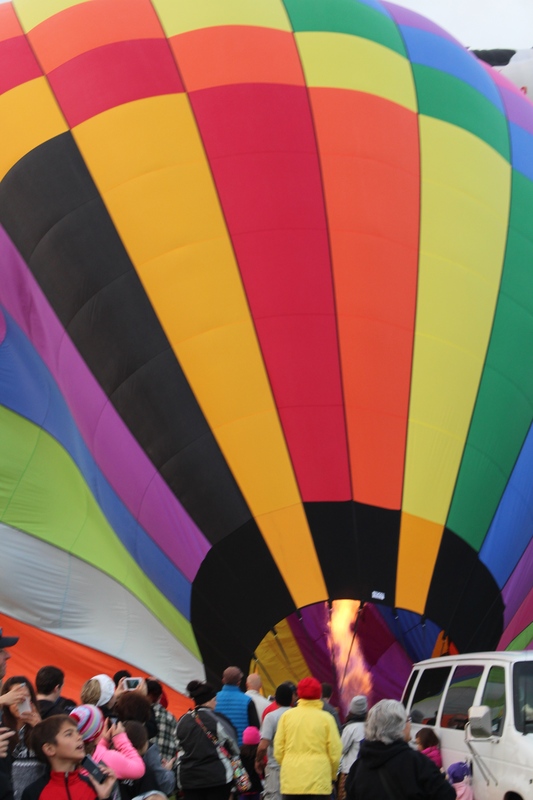 Before we arrived, we had the impression that we would be on the sidelines, standing on tiptoe trying to get a glimpse of balloonists as they filled colorful balloons to the tipping point on the ground. But we couldn’t have been more mistaken. We were there. On that field. Right beside the balloons. As if we were a part of the action. Spinning from one exciting fill-up to another. And then we could hear the buzz of the crowd. This one was ready! And we joined in the applause for initially what seemed impossible — getting one of the huge, ball-shaped masses airborne. We pointed. Yelled, Look! It’s going up! And then fumbled for our cameras to capture the moment of take-off . . . 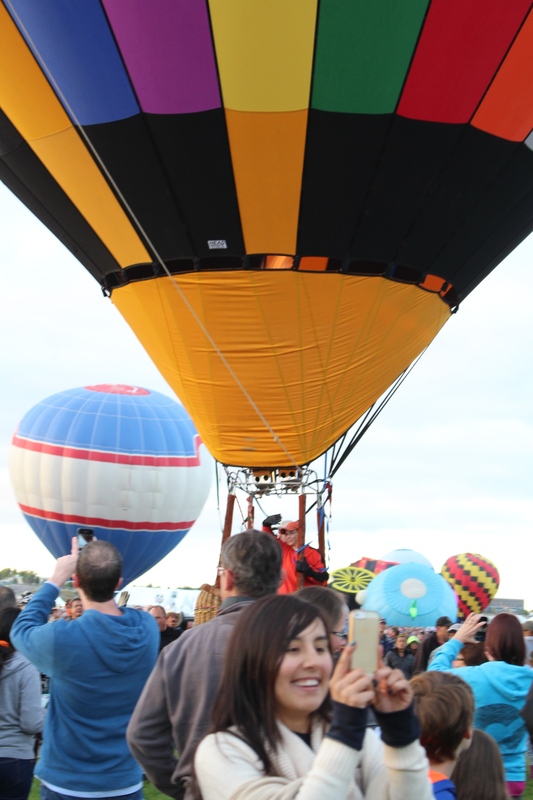 It was then that the lucky balloon riders gave us crowd people thumbs up’s and big waves as they lifted up. And over. And above us all into the morning air. It’s about as big a rush as you can get in a field in Albuquerque before dawn. Well, yeah! For more entries into Ailsa’s photo challenge — Travel theme: Above — on her blog Where’s My Backpack, click here. They’ll take you up, up, and away! 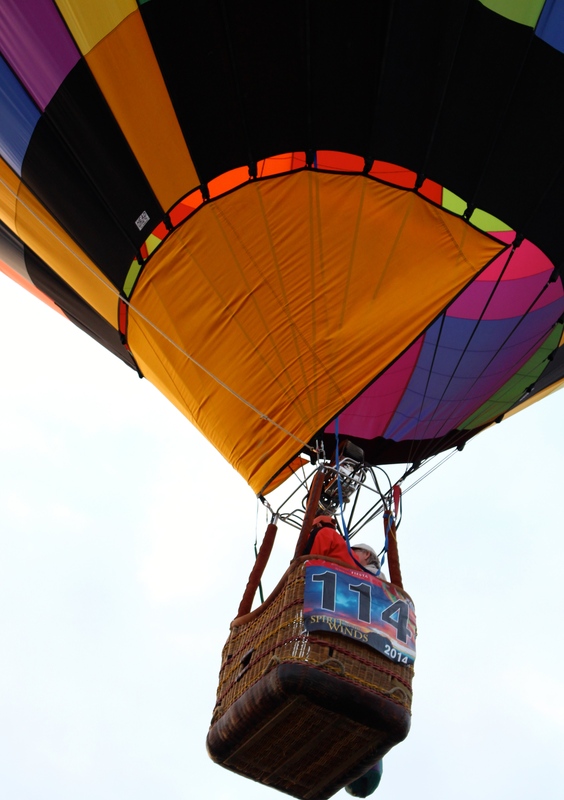 For information about the Albuquerque International Balloon Fiesta 2015 including dates and schedules, click here. 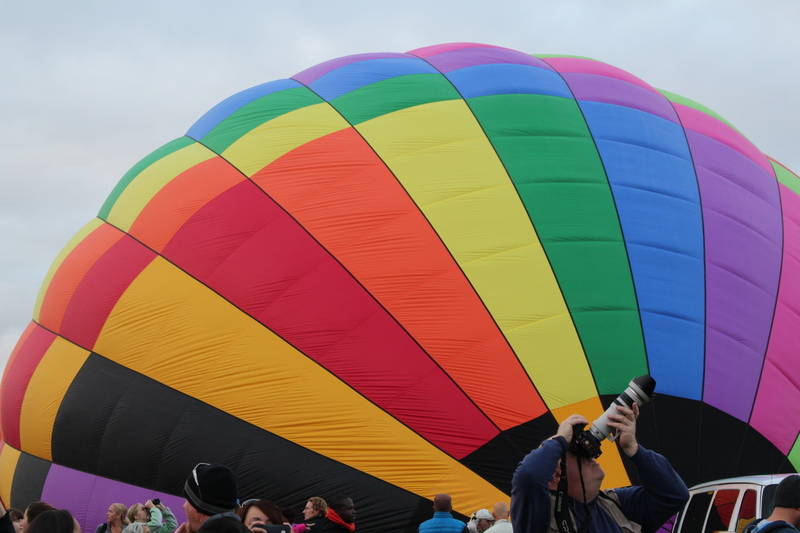 This entry was posted in Destination, Festivals, New Mexico, Photography, Travel, Travel Theme and tagged above, Albuquerque, balloon, Balloon Fiesta 2014, hot air balloon, postaday, travel theme. Bookmark the permalink. Magnificent. Love hot air balloons! We love ALL the hot air balloons, and we couldn’t even see half, or so it seemed. When you stand on the field, you just watch most float by. But the ones around you become very special indeed! Thanks for reading and commenting!